and protected by a sheet of transparent horn. enabling the child to grasp the primer. Circa 1595 or possibly earlier. 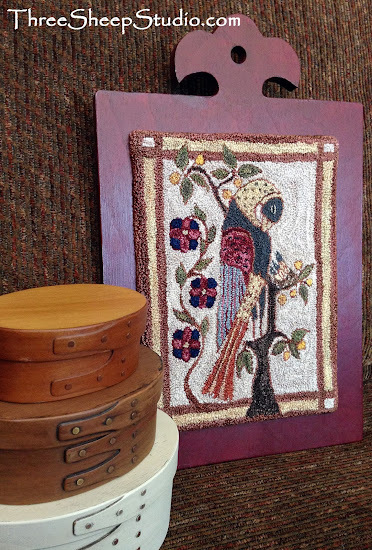 is a punch needle design mounted on a hornbook. and gave it a 'finish' by hand applying wax. this Hornbook from Tara at Perfect Prim Punch. Tara has beautiful hornbooks to choose from. dated '1800'. The Artist is documented as unknown. and shading accurate to the original 1800 Fraktur. however a conversion for DMC floss is included with pattern. go to 'A Mother's Watch', to learn more. one of the above Hornbooks to a lucky winner. on Monday evening, June 13, 2016 ! Sorry, shipment within USA, only. A winner has been notified. Enjoy this beautiful day ! How exciting a giveaway! What a lovely pattern...so colorful. Love the new pattern and the colors. The Hornbook really makes it stand out. I am new to punch needle and this would be a fantastic project. Thanks. Beautiful Fraktur, I'm still working on your first one. Thanks for the origin of the Hornbook, now I know why I see them with many primitive designs! Your Fraktur is beautiful...as well is your blog. Your are so inspiring. What an awesome giveaway, thank you for the opportunity to win this! Beautiful design, how perfect with a hornbook. You are too generous. We have watched so many bird families around our woods. They are so protective. The name of your design is so perfect. Thank you for the chance to win your fantastic giveaway! I absolutely love your pattern. I have purchased hornbooks from Tara. They are lovely! Tara's hornbooks are amazing, and the pattern is beautiful Rose!!! Very helpful site! Lovely pattern too! Love the new patterns that go with the red hotnbook! Beautiful design & wonderful giveaway!! Beautiful new fraktur design and hornhook. Don't add me to the list on giveaway as I haven't done needlepunch in years and someone who would use it should be on the list. But is a great design. A Mother's Watch'is a beautiful punch needle design and having it mounted on a hornbook makes it even more special. Thank you so much for your generosity for this giveaway. It is beautiful. Thanks for the great giveaway. I'm a cross stitcher that has taken up punch needle in the last year - and fallen in love with the texture and art! I've never done a Fraktur design and never used a Hornbook! 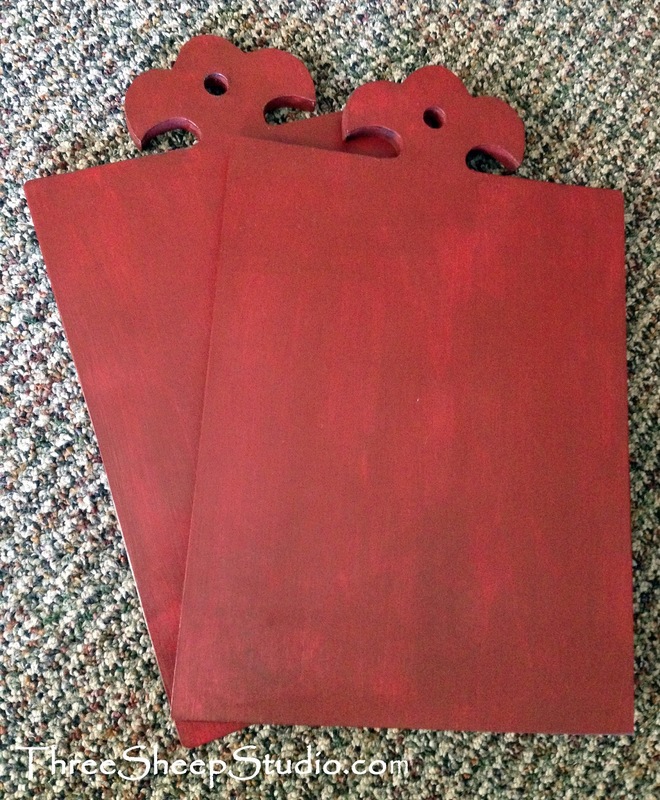 This Hornbook is a gorgeous design and the red color completely complements the beautiful colors of the design! Thank you for all you do to promote learning this art from all of us newbies! So pretty...love the color. My son's birthday...maybe I'll be lucky. I was not familiar with Hornbooks, but how interesting. Love its color and the Fraktur design. This is such a lovely pattern. I am still learning this technique and trying to avoid one color blending into another but determined! I might also have to put down my embroidery if I win. Thanks for the inspiration. I have the tools, thread and a couple of pattern ideas, but haven't actually started a project yet. Having a way to showcase the design would get me going! Thank you for the chance to win this! So very lovely!! Thank you for the chance to win the wonderful give-a-way! The bird is wonderful. I love to watch the birds. Thank You for a chance to win. Nancy P.
Beautiful design and finishing by mounting it on the hornbook. Beautiful combination of colors, the hornbook and design! Stunning! I had never heard of hornbooks before so was fascinated by this post. Truly a lovely piece anyone would be proud to have in their home. Love the color of the hornbook! I am also lovint punching birds right now, peacocks, turkey and this fraktur is beautiful! What a generous giveaway! Thanks so much for thi opportunity! Such a lovely design and hornbook. I would love to win these! Thank you. I love this piece, Rose. Your work is beautiful. What a wonderful give away. that piece is so lovely. I love re creations from the 1800-1900's. This is beautiful and I would love to do it. What a wonderful give away. I'd love a chance to win. I was hoping you would explain what a hornbook was. I was on my way to Wikipedia! Beautiful design, the colors are just right. The hornbook is beautiful and such a lovely color. A Mother's Watch is gorgeous! I love birds and your new pattern is beautiful. the hornbook is perfect to mount it onto. A lovely way to finish such a lovely design. Count me in. 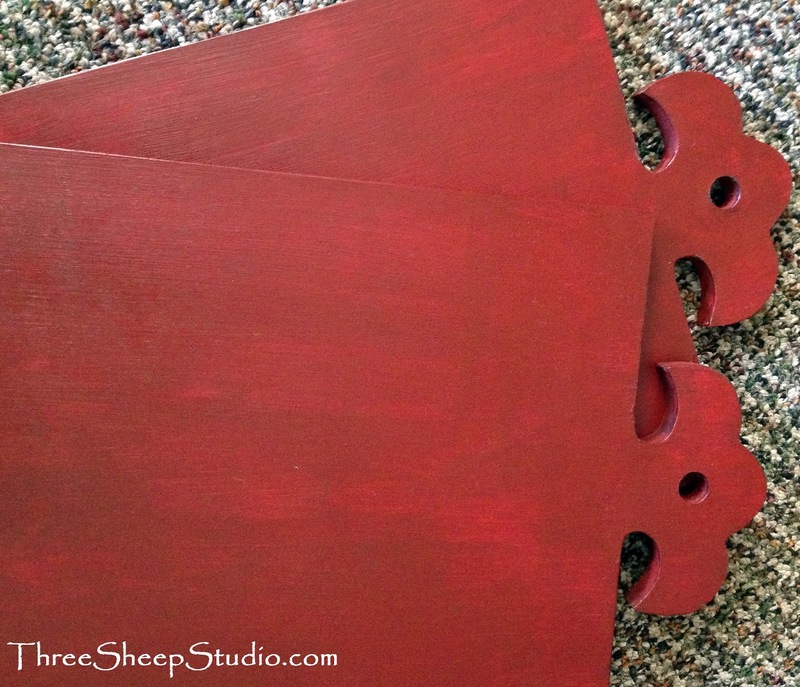 I would love to re-create your pattern on the hornbook. Thanks for the opportunity. I really love fractur folkart, so your new design is just wonderful. Also, love Tara's hornbooks and have used them in my xs finishing. Such a fun and different way to finish. 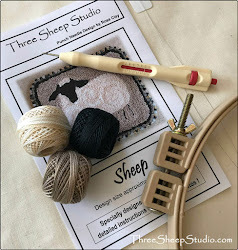 Love this idea for punch projects, I am new to hornbook I love the look with a punch project fastened. Your work is beautiful. I would love to enter your giveaway, thank you. Love the hornbook and the pattern!!! Thank you for doing a giveaway!!! What a fabulous giveaway!!! Thanks for the opportunity! I love the pattern and the hornbook. It is so pretty, plus I love the history. Please enter my name to win the giveaway. What a lovely pattern. And the hornbook is great! I love the color you painted it. What a beautiful giveaway. Thank you for the chance to win. Lovely pattern and I enjoy reading the history tidbits as well. Love everything you do! Thanks for the opportunity to win! Beautiful! Thanks for sharing and good luck to everyone. The pattern is beautiful and elegant. I love your patterns! What a delightful giveaway and gorgeous site as well! 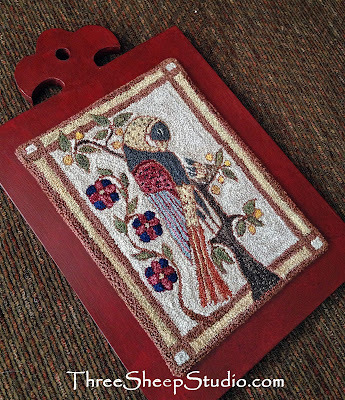 What a fantastic way to display a finished punch needle project. Thank you for the opportunity to win this giveaway. I never knew the back ground of a horn book. I love your pattern, how lovely. Great design and hornbook. Would look great in my house! thanks for the lesson on hornbooks. I always thought it was a fancy name for a bread board. See -I learned something new today! Love your work. Rose it is a joy to read all of your blogs and your site is fun! Also a Hornbook is a word I had never heard before. Thanks for letting us in on this secret. Would love to win! Hugs from a lady crafter also! That is so beautiful. Thank you for appreciating the beautiful designs of the past. Stunning, what a beautifuI way to memorialize this design. I too would love to go for it, and make this design. These are so beautiful! Thanks for the giveaway! Beautiful Pattern, I just love Fraktur! Thanks for entering me in the giveaway! Your interpretation and design are beautiful! And the hornbooks are so beautifully made. What a perfect way to display needle-punched small projects. LOVE it. Thanks for the opportunity for the giveaway. Love your hornbooks! The fraktur is lovely. Thank you for the chance. 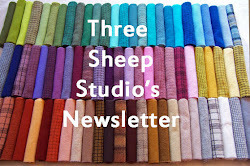 I have been working wool applique designs based on frakturs and love the designs and colors of this piece. I have done a little punchneedle and have been seeking just the right look. I think this is it! Rose, what a lovely piece, your work as always is exquisite! Lucky person to receive this work of art. Thanks for the background information you shared. Best of luck to all and thanks for the chance to win it. What a wonderful and beautiful pattern. 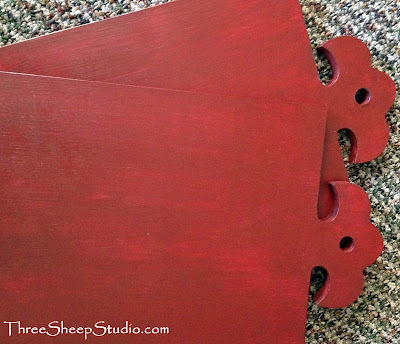 Love the pattern and mounting on the hornbook! This is a wonderful give away. I love everything about it. Please include my name. The hornbook is a very clever way to display the FraKtur pattern "a Mother's Watch." The colors are beautiful! Thank you for creating this charming work of art. I just found this website from a Ponterest post. 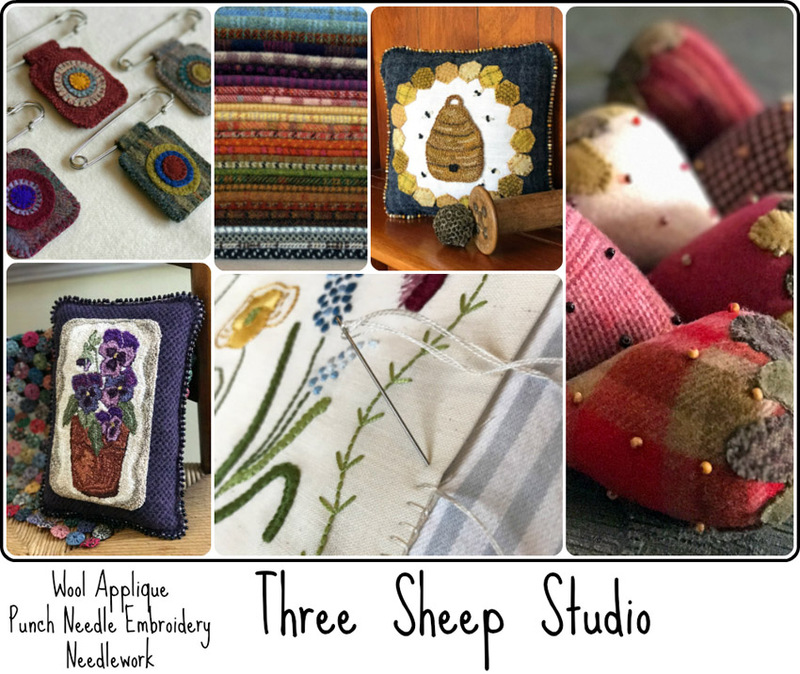 I love everything about Rug Hooking, Wool Appiquè and Punch needle. The hornbook information was great reading- I love to find new ways to display punch needle projects! The pattern is delightful!